As part of its efforts to adapt to the ever-changing technological and financial landscape, PCMA Partner McLeod Law becomes one of the first few law firms in Canada to accept cryptocurrency as payment for its legal services. The Calgary-based firm made the option available to select clients as an alternative payment method. The initiative, which was led by McLeod's fintech group, will be using Coinsquare as its crypto-exchange provider. In a Canadian Lawyer report, McLeod Fintech Group head Matthew Burgoyne said the platform allows clients to pay using Bitcoin, Bitcoin Cash, Ether, and other digital currencies. In Burgoyne's view, clients can enjoy faster payment with the use of Bitcoin. “I had a client who is a Calgarian living in Seattle who is a tech entrepreneur in the U.S., and it was going to be difficult for him to get the money to our firm because he had to go through several steps to have someone in Calgary on his behalf transfer the money to him, whereas when we offered him to make the payment in Bitcoin he said he could have it to us in 40 minutes. We actually had payment in half an hour,” he said. McLeod initially accepted Bitcoin as payment in 2014 and tried it with a few clients. At the time, the lack of a credible exchange platform made the group decide to ditch the project. For this initiative, Burgoyne sought guidance from the Law Society of Alberta to better understand the restrictions on using cryptocurrency as payment for legal services. 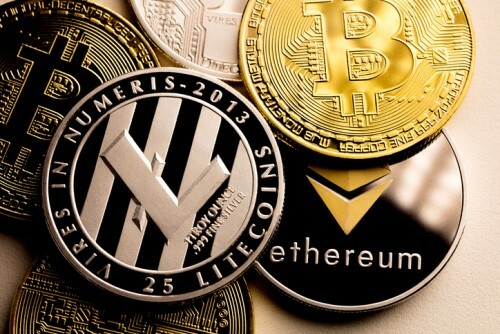 According to the society, it is adviseable to have the currency sold for Canadian dollars immediately, meaning that firm is not holding the cryptocurrency for any period of time. Law Society of Ontario spokesperson Susan Tonkin told Canadian Lawyer that it is important for law firms to consider the "modern realities of the practice of law and the provision of legal services." Referring to LSO's Rules of Professional Conduct, Tonkin said: “Other than s. 4 of By-law 9, which restricts the amount of cash that a lawyer may receive in respect of any one client file (except for the exemption noted in s. 6e), there is nothing in our rules and bylaws that restricts how a licensee is reimbursed for legal services provided to a client that have been completed and properly billed," she said.